Since I came to Canada, I’ve traveled to Dhaka,Bangladesh many times. There were times when it took longer. It depends on the airlines. A few years ago, I took Qatar Airways. the fair was cheaper, this motivated me to use this particular airlines.It had stops in Frankfurt and Doha. The stop at Frankfurt was ten hours and Doha three hours. I traveled by Air Canada to Toronto from St. John’s. My next flight was by the same airlines to Frankfurt. It took seven or eight hours to reach Frankfurt,from Frankfurt to Doha was six hours and from Doha to Dhaka five and a half hours. In all I flew for twenty-two hours to reach my destination. I did not count the hours I waited at each airport for the flights. It took me more than two days to go to Dhaka. I came home after ten days in Montreal. I can’t explain what is it about ones home,that it makes you think about it day and night. To begin with I woke up at three in the morning to get ready for my flight. You might say it’s crazy to wake up that early to catch a flight at 5:30 a.m. Here is how my system works.I have to take a shower,do it slowly.I avoid doing it in ten minutes. Then I have to make my bed,make sure I leave everything in its proper place,this is to save myself from getting irritated when I’m back. I was required to be an hour and a half early at the airport to check in. I noticed I missed my home the moment I boarded my flight. I missed my computer,it meant I could not do my daily post. My friend who I stayed with doesn’t have these things.She is contented with cooking,cleaning and going to the mall everyday and do window shopping. I missed my kitchen,cooking my food the way I like. I couldn’t do that in a strange place. I missed my bed, waking up before sunrise for prayer. After a couple of days I was ready to be back at home.The sad part is, I booked to stay for ten days,no matter how I felt, I’d have to’Grin and Bear it’. I am probably giving the impression I did not have a good time,it’s not true,I did. When I’m away from home,my enjoyment lasts for a short while. There are a whole host of things I have to sacrifice,it brings the question,was it really worth it? This is how I feel about ,’My Home’! 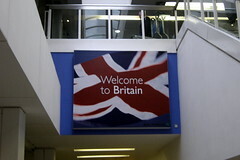 It happened at Heathrow airport in London. We were traveling to Dhaka,Bangladesh. It was evening,we were patiently waiting for the flight. I looked up and saw our flight was boarding, I told my husband, we then dashed off to get to the gate, I cannot recall the gate number now,but we knew we had a long walk ahead of us. As soon as we reached the gate,my husband looked for the boarding passes,he couldn’t find them. I was nervous,what are we going to do,”I said”? The look my husband gave me could give anyone a heart attack.I guess I have a strong heart, nothing happened to me. As you can see I am still alive. It never helps when we are nervous,we fail to realize things are not that bad. My dear husband had the passes in his hand. Neither he nor I thought of looking. That was one long deep exhale for us,Wow! I think I am ready to pause my real life and search my inner self for a place and family I’d spend with for a little while. I have traveled various places,met a multitude of people old young and in-between. Never did I find anyone sincere for me to trust. Since I read today’s prompt,I feel I know where I’d like to live for a while. It is my maternal Grandpa’s home.It is in Bangladesh,in a small village,where the inhabitants know each other and live in complete harmony.Though it is not an imaginary place, it sure feels I’d have perfect peace and tranquility. I’m dreaming of this place,I found friendship,innocence here. I can hear the maid saying, “Bhabi”( sister-in-law) why aren’t the crows afraid of me? She was guarding the courtyard so the crows wouldn’t eat the crops spread out to dry. I looked out,I knew why the crows were not petrified, the slingshot was pointed at herself not the crows. I learned from this incidence,how intelligent those birds were, even birds can detect how ignorant we are at times. I laughed and showed her how it should be used if she wanted any result. It happened a while ago. 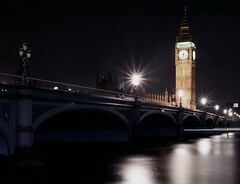 I always dreamed of going to England to study. Whether I would ever be successful in doing so or it would always be a dream,I did not know. The thought was there.I never talked about it with anyone especially not my siblings. I was not a serious student, working too hard was not in me,despite this fact I wanted to study overseas . My brothers who paid my tuition fees for college and university ,were incapable of sending me.It was a question of a large sum of money.I understood it. I did not expect them to try,they had already done enough for me. I am a big believer that if you want anything bad enough,the doors of success opens up out of nowhere. This was my case,I saw an ad in the newspaper, British Council was offering scholarships in innumerable subjects to successful candidates to study in London . How could I pass this up.I was dreaming about it for eons. Now fate was giving me a chance to grab it. I did not have faith in myself,I was a student who spent minimum number of hours to get through my courses. It was a test I was willing to take,if it failed to materialize it was okay, I did not deserve it. I applied and waited patiently for a response,at the same time thinking,Me?no they will discard my application the moment they receive it. 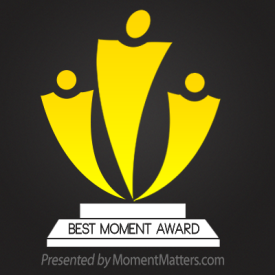 after what seemed a decade I received a letter in which they said I was selected for an interview. I was cautiously optimistic and made sure no one knew about it. I have no recollection of what the questions were,I only recall the interviewers,their eyes were pinned on me,this is how I felt. I dared not look at them fearing I’d fall apart and it’d be a total disaster. I came out of that room,feeling nothing good or bad. The days that followed were painfully slow. I spent sleepless nights about the journey. I was never the giggling type but I was excited! My most favourite place to watch people is the ,’Heathrow Airport’ in London. Here people from all over the world gather.Some wait for connecting flights,others are coming home after a long vacation,then there are tourists of all sorts. This is where I sit observe and imagine. Once I mistakenly arrived at the airport ten hours before my flight. Instead of going back to my brother’s place I opted to stay. While there I watched the passengers running to catch their flight. I however was in no hurry. There is a restaurant at the airport named, ‘EAT’, I bought a sandwich and found a comfortable place to sit for , ‘people watching’. I noticed a young girl possibly in her twenties,sitting quietly. Immediately my mind went to work. Who is this girl,does she have any sibling,why is she traveling alone? Maybe she is waiting for her family or a guide who will take her to her destination. Suddenly I felt she looked unhappy, she doesn’t want to study, her parents are forcing her to continue her studies. No, there is something else, maybe her uncle has invited her to visit them.She likes the uncle but hates his bossy kids who treat her badly.Can this be a cause of her unhappy face? No like me she is at the airport too early and hates the thought of waiting,hence the sour face. I then saw a young man coming towards her,they looked at each other,the girl was all smiles she was talking a mile a minute. I was glad to see she was laughing and talking. I soon realized while I was busy with my imagination,I heard an announcement that my flight was leaving in twenty minutes. I picked up my bags and ran to board the flight. Can you imagine what would happen if I missed my flight? It would be in the news , ‘A lady misses her flight after getting to the airport ten hours before her flight’. Shocking isn’t it? At the moment my dream destination is Athens, Greece. We have very good friends in Athens. Maria’s husband Demetrios is a physician. He worked in Newfoundland, for a few years. He moved back to his native country. We exchange Christmas cards,every year. Their daughter writes to me,Maria says she has difficulty with English. Her daughter kindly writes about the family. I am anxious to see them in their familiar surroundings. I am also keen on taking this trip,because I studied Greek History and am curious to see the places,I’ve read about. The Olympic stadium would be fascinating to see. I have no knowledge of the language,I’m sure I’ll get help from Maria’s kids. It will be fabulous to visit some of the places where Alexander the great moved around. One year my husband and I decided to go to Makkah for pilgrimage. We applied for our passport and applied to the Saudi Embassy for visas. We left the children with their uncle in Chicago. We took a flight from Chicago. We had one stop at Amsterdam. We waited an hour to catch the next flight. I felt great watching all the passengers praying, the flight was going to Jeddah in Saudi Arabia.We got off the flight and went to the lounge.There was no place where we could sit. I saw other passengers coming in ,it seemed they knew how the system worked, one family took out a large sheet and spread it on the floor and sat down.I was amazed to see how calm they were. One member of the family took out an apple and shared with people around her. After clearing customs we went with my husband’s cousin to his home. The wife gave us instructions,what were the things we needed to do. My husband and I were excited. His cousin’s family accompanied us to Makkah. 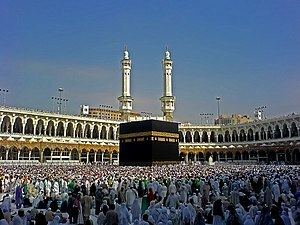 We visited the Kaaba we went around it seven times.From there we went to Safa Marwah .We walked back and forth seven times. We stayed in Makkah for five days. Our next place of visit was Medina,we stayed here for two weeks.During our stay we visited the grave of Prophet Muhammad and other holy shrines. From Medina we flew back to Jeddah . After a couple of days, we were on our way to Chicago. We got our kids and flew back to Gander,via Toronto, Canada. It was a wonderful experience for us. My favourite list is shopping in different cities of the world: My first stop is Montreal,I went shopping for coats,the store is: Manteau Manteau.It was the fall season and I needed a coat for myself.The sales woman was a very nice lady,she knew at once I was a buyer not a window shopper.She showed me a variety of coats. I settled for a black one,the colour and the style and of course the price was tempting.I bought it, then I looked for a cap and scarf.I bought them too.I made a big mistake,both the scarf and cap are woollen. They are itchy. I wear them to be warm but they are not comfortable. My second stop was Macy’s in Chicago. I looked for pants and tops,they had some beautiful ones. I bought a half a dozen of each. In Toronto I bought some warm parkas for me and my kids. Another place I love shopping is London,England.I bought a bag from a reputable store,I’ve just forgotten the name.I bought it on a Friday,the next day the zipper broke.My brother lives in London,I was visiting him.I took the bag to a store near his house to get the zipper fixed. The sales girl told me to take it back to the store,I bought the bag a day ago. I wasn’t too confident, in my home town they simply refuse to take it back even if I bought it an hour ago. I was ready to hear no Ma’am I can’t take it back.I went inside and stood quietly in the corner waiting for a salesman to appear. Within minutes one appeared,I told him about the bag,he took it and came back and apologized ,he didn’t have a replacement.He showed me one that was slightly larger.I was so impressed by him I bought the larger one. My next favourite place to shop is Boston,they have large stores,one can buy anything, they have a variety of clothes.The best time to visit these places is Spring a lot of winter clothes go on sale. I love shopping in Dhaka.There are so many different varieties of Sarees,I feel like buying them all. But I have to check my temptation. I do get some. I love shopping whenever I visit a new city, I make sure to buy something even if it is just a souvenir! I will give a brief introduction,why I chose to write about Geneva.Our International Airlines ‘Air Canada,’ was holding a competition.We were required to write about a place,we were interested to visit. The deadline has passed,I’m eager to write,not for any reason,but I was told,it is a beautiful city to visit. Whether I will or not is immaterial.I’d like to check it out and therefore some research is necessary. Geneva,is the second most populous city in Switzerland.Situated where the Rhone exits Lake Geneva,it is the capital of the republic and Canton of Geneva.It has a population of 192,385 (as of June 2012).It is a global city,a financial centre and worldwide centre for diplomacy and the most important U.N international co-operation centre with New York.It has numerous international organizations,including head quarters of many of the agencies of the united nations and the red cross.It is also the place where the Geneva Conventions were signed. 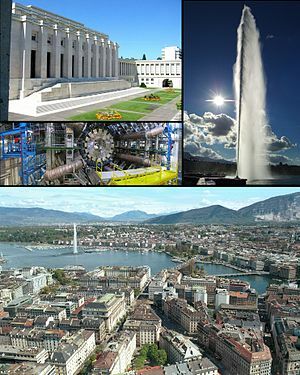 A 2009 survey by Mercer found Geneva to have the third highest quality of life. 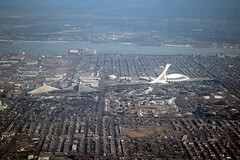 It is also ranked according to 2009 and 2011 survey as the fourth and fifth expensive city in the world. 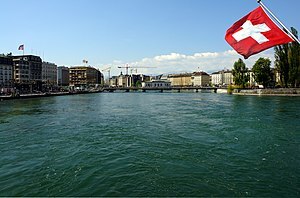 Traditions and customs: Geneva observes Jeune Genevois on the first Thursday following the first Sunday in September.By local tradition ,this commemorates the date of the St.Bartholomews Day massacre of Huguenots reached Geneva . Music: The opera house, the grand Theatre de Geneve ,which officially opened in 1876,was partly destroyed by fire in 1951 and was reopened in 1962.It has the largest stage in Switzerland. It features Opera and dance performances,recitals,concerts, and occasionally theatre..The victoria hall is used for classical music concerts. It is the home of Orchestre de Suisse Romande. Museums: Museums and galleries are everywhere i n the city.The Palace of Nations,home of the United Nations headquarters can also be visited. Sports: Ice hockey is the most popular sport in the city.They also have a football team in Geneva. 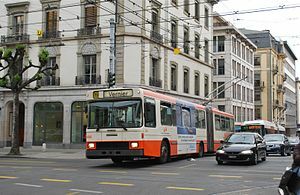 Transport: The city is served by the Geneva Comtrin International Airport.It is connected by Geneva airport railway station with both Swiss Federal Railways network and the French SNFC network including Paris.Public transport by bus,trolleybus or tram is provided by Transports Publics Genevois. Climate: Climate is temperate,winters are mild,usually with light frost at night, and thawing conditions during the day. Summers are pleasantly warm.Precipitation is adequate and is relatively well distributed throughout the year.Autumn is slightly wetter than the rest of the seasons.